Chinese tourists have been recorded as the largest group of foreign tourists to visit Indonesia in 2017. From January to November of last year, 1.97 million flocked to the country. “The number grew 42.22 percent from the previous year. There is even a surplus of 98,405 from the targeted number,” said the Tourism Ministry’s division 1 deputy of marketing development I Gde Pitana. He added that 2,055,351 tourists from China visited Indonesia in 2017, followed by Australia and Indian with 1,188,499 and 485,314 travelers, respectively. Most Chinese tourists are fond of beaches and they celebrated the Chinese New Year a week ago by also having family dinners and going shopping. 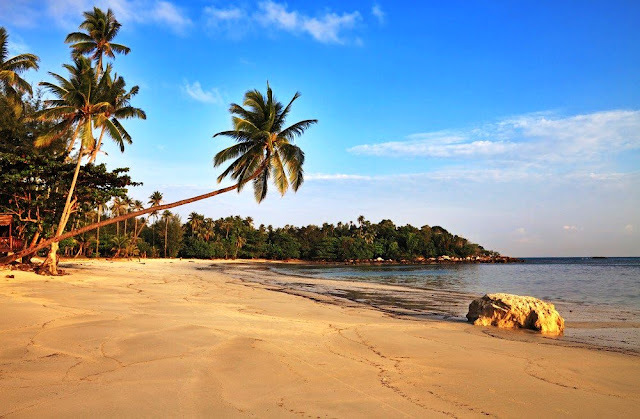 Data from the Tourism Ministry stated that 5,000 Chinese tourists visited Bintan in February. “There were 800 tourists in the first wave alone. They came from Hang Zhou and Ningbo,” said Vinsensius Jemadu, the deputy director for Greater China at the Tourism Ministry. During the Chinese New Year holiday, tourists flocked to Bintan on Feb. 13 and 14, helped by 38 charter flights from Sriwijaya and Citilink. Vinsen estimated that the increase of Chinese tourists coming to Bintan would have an impact on Indonesia’s foreign exchange income. Every tourist on average spends about US$1,000. “Along with their family, they mostly shop for herbs and edible bird’s nests,” he said. Another destination the Chinese tourists flocked to during the Chinese New Year holiday was Bali. “This means that Bali is a special place to celebrate the new year. It also means that a travel warning from the Chinese government is no longer relevant,” said Pitana. The Harris Hotel on Sunset Road, Bali, was packed with Chinese tourists during the Chinese New Year holiday. Around 15,000 tourists were expected during the holiday. Hotel occupancy rates in Manado, South Sulawesi, are considered relatively stable at 70 to 80 percent thanks to the increasing number of Chinese tourists. “It is usually low season in December. But due to the thousands of Chinese tourists who visited last December, the occupancy rate in Manado reached 76 percent,” said Moh. Edy Mahmud, the head of Statistics Indonesia North Sulawesi province, last Tuesday. The number of Chinese tourists who visited North Sulawesi in December 2017 reached 7,208, which amounted to 83.94 percent of all foreign tourists coming through Manado’s Sam Ratulangi Airport. Foreign visitors on average stayed for 3.98 days at hotels in December 2017. Yushi Quan, the general manager of Best Western The Lagoon Hotel Manado, said Chinese tourists have helped the hotel business significantly. To indulge tourists, the hotel holds several attractions, ranging from religious events to national holiday activities. It also offers culinary programs every weekend. Apart from China, other foreign tourists visiting North Sulawesi come from Singapore (473 people, 5.51 percent), Malaysia (126 people, 1.47 percent), United States (120 people, 1.40 percent), Germany (61 people, 0.71 percent) and Japan (51 people, 0.59 percent).